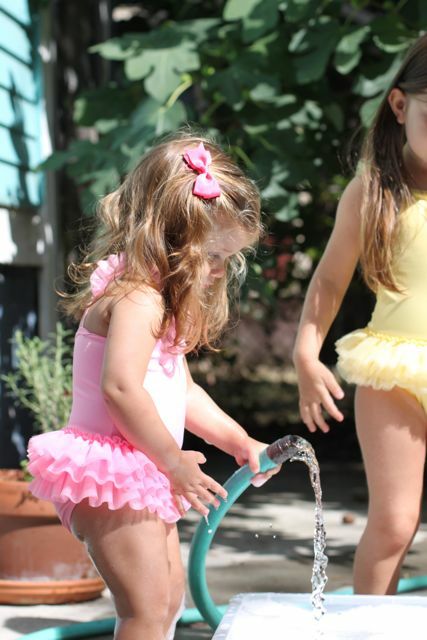 A few times a week, and maybe even every day, we are enjoying the plastic bucket ‘pool’ with bubbles. 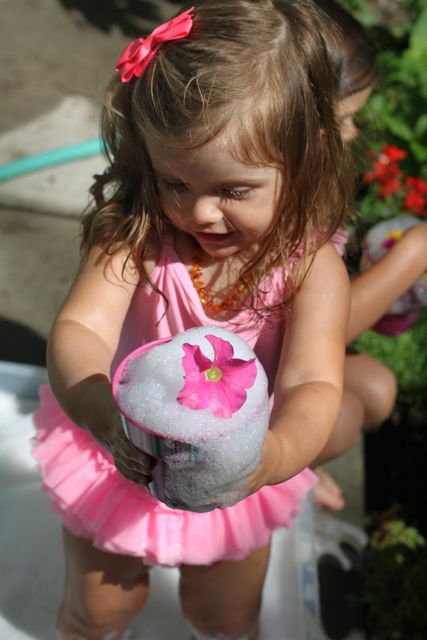 Today while playing in the bubble pool we had the idea to make bubble sundaes with flower petal toppings. 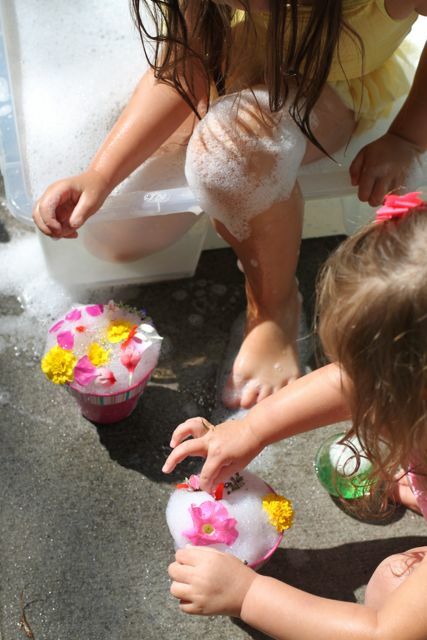 Here are our cute girls making flower bubble sundaes…. 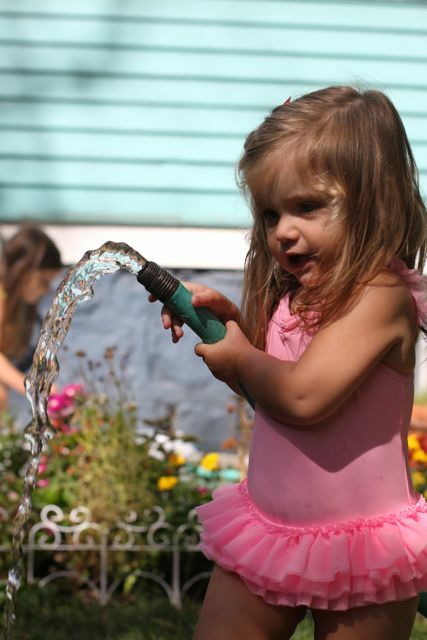 This entry was posted in P L A Y and tagged garden, girls, play, summer. 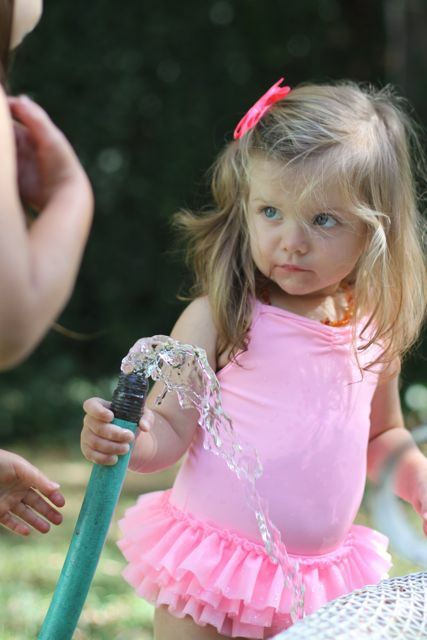 Aahhh … summer … hoses … swimmers …. grass … feels so Oz!! 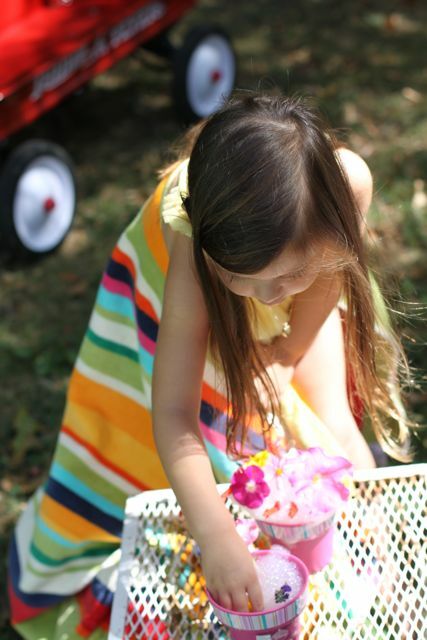 … it’s quite amazing where the young mind takes you …. 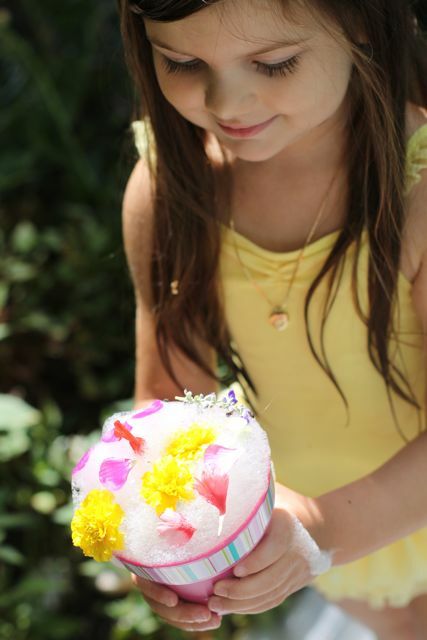 flower bubble sundaes!! 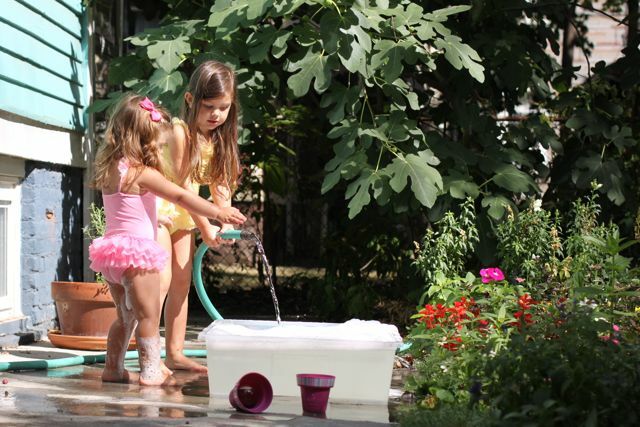 Looked like great fun! !